Brady Michael Niles, age 7, peacefully passed away Wednesday, December 5, 2018 in his own home. He was surrounded by his family who love him so very much. 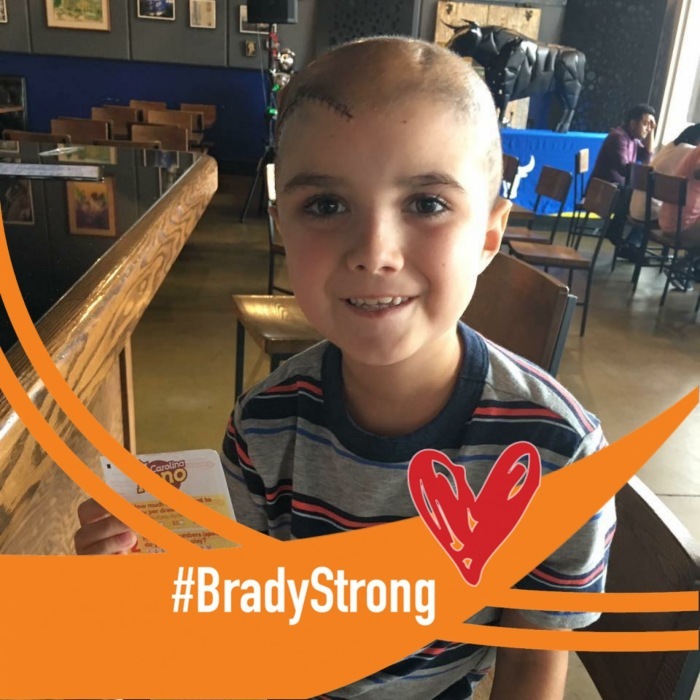 Brady is a strong kid who "crushed brain cancer" (in his own words) for a year and a half, and every single thing about him is missed already. Brady is survived by so many people who care about him. Parents Jason and Caroline Niles, brother Logan Niles age 5, cousin Charlotte Moorefield age 11, dog Guinness Moorefield Niles age 84 in dog years. Grandparents Cathy Rumley, Mike and Diane Niles, Bridget Foust, Rickey and Lisa Moorefield. Uncle Ryan Niles and aunt Tandy Niles, uncle Devin Moorefield, aunt Scarlett Moorefield, and uncle Holden Moorefield. Great-grandparents Rhonlee and Frances Kime, and Shirley Moorefield. So many "aunts" and "uncles" and teachers and coaches and friends and family in North Carolina and Massachusetts and Texas. He is preceded in death by Lois Russell, Joe Center Sr., Rose Niles, Frank Niles, and L.B. Moorefield - all great-grandparents. Brady is a second grader at River Mill Academy. He is an A Honor Roll student and is always very conscientious of his school work. He loves math, science, pizza day, and most of all, his friends and teachers at school. He loves reading and writing and drawing. Brady is an amazing artist and is so careful and meticulous in everything that he does. He dives into books and loves Harry Potter and Magic Tree House, and has even written a few books himself. He is hoping to inspire other kids to write their own books as well. Brady enjoys playing sports and has always been active in basketball, soccer, and baseball with the Graham Rec. Even when he was undergoing radiation, he still played in his soccer games. 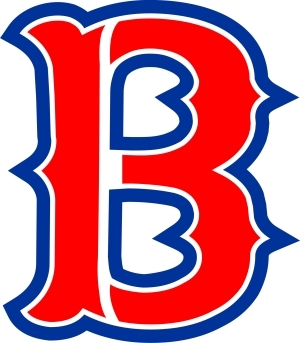 He is a fan of the Boston Red Sox, New England Patriots and North Carolina Tar Heels. Brady loves jokes and wants to be a comedian (at night) when he grows up, as well as a scientist and a teacher (during the day), after he goes to Massachusetts Institute of Technology. Brady is the picture of kindness, bravery and joy. In seven years, he has made an impact on so many people's lives. He is the best big brother ever, a wonderful son, grandson, cousin, and friend to so many. He and his family were able to do so many fun things during his life. His family's mission is to make every single day count as a happy day filled with love. His best friends were always with him at the pool or lake, or hanging out at his house trading Pokémon cards and playing outside, or going to Durham Bulls games together - just being kids. One of Brady's "best days ever" (in his own words) was swimming with dolphins at Discovery Cove in Disney World, his Make-A-Wish trip. Brady is very special to his doctors and nurses at UNC Pediatric Hematology and Oncology Clinic, and always shows up with a new joke and a smile on his face. The service for Brady Michael Niles will be Friday, December 14, 2018 at 6pm. PLEASE WEAR SOMETHING ORANGE! Visitation will follow in the Fellowship Hall. Services will be held at the First United Methodist Church in Graham at 303 N Main St. Graham, NC 27253. Donations can be made to Make-A-Wish Foundation, UNC Pediatric Hematology and Oncology Clinic or to the Hospice and Palliative Care Center of Alamance-Caswell.